Back at the start of January we debated Liverpool’s need for new signings; do our panelists still feel the same way after a month of inactivity? The Reds haven’t relented in the title race, despite that loss at the start of the year to Man City. Since then, an FA Cup exit to Wolves has been followed up by wins over Brighton and Crystal Palace in the Premier League—but the injuries have also mounted up. 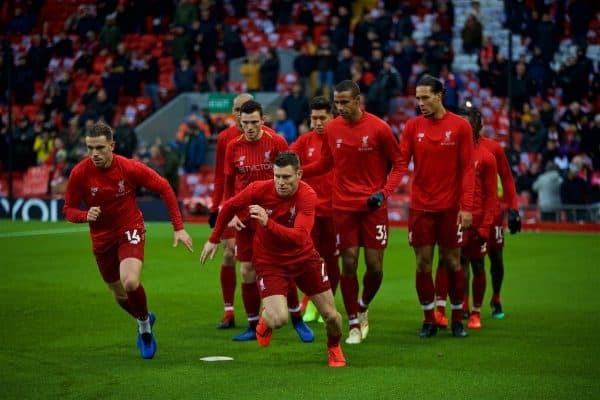 Dejan Lovren pulled up injured (again) in the cup, Joe Gomez‘s return has been delayed and now James Milner is suspended, while doubts remain over when Gini Wijnaldum and Trent Alexander-Arnold might return. Our initial discussion saw Karl Matchett (@karlmatchett) speaking with Matt Ladson (@mattladson) and James Nalton (@JDNalton) and it provided plenty of interesting opinions and insight. Now, the same trio return for an end-of-the-month review, give their views on what, if any, last-ditch moves they’d make and look ahead to summer and anticipate where Jurgen Klopp might be looking to make his next improvements to the squad. Do you still agree with your opinion from the start of the month? MATT: I think my opinion has changed – for obvious reasons! 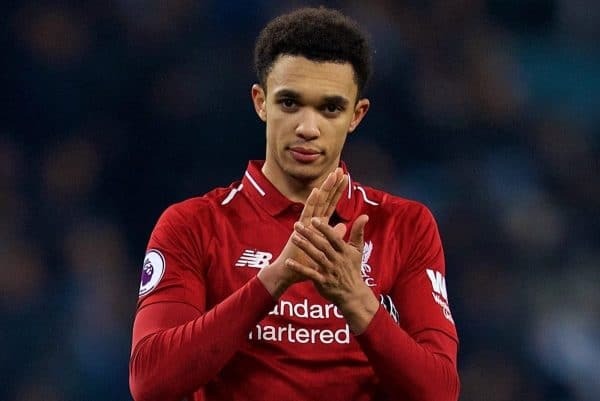 Joe Gomez being out for longer than was expected is a big blow and the injury to Trent Alexander-Arnold combined with that at just the wrong time. Meanwhile, I’m not sure we can rely on Joel Matip and Dejan Lovren to stay fit for the rest of the season. 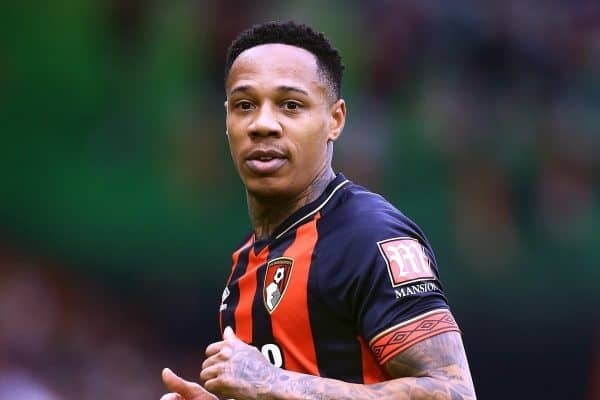 We’d have been fine had Gomez returned as forecast by the manager, and/or if Trent hadn’t picked up this injury, but with both those, we could have used a signing – or not to have loaned Nathaniel Clyne. JAMES: Probably yes. Look at City’s starting XI in the FA Cup with Sterling, Aguero, Sane, Laporte, and Dave Silva on the bench. That’s what Liverpool are up against. 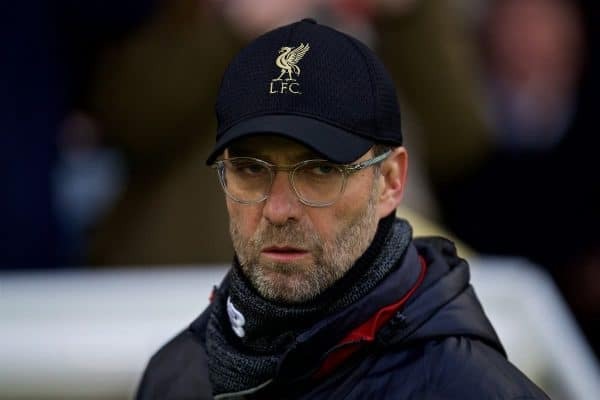 However, Klopp seems to prefer the advantage he gets from having a close-knit squad over moving someone on and bringing in a new face whom he might think is only slightly better than what he has. KARL: Yes, in terms of any incomings. We don’t need anybody and if we were to sign a player, I don’t see they’d be pivotal for this season, more a bedding-in process for next year. The squad is good and there’s as much risk of upsetting balance as adding quality by signing someone at this point. Are you happy with the decisions made in the window? MATT: The decision to loan Clyne now looks worse than it was at the time. There was logic in letting him go, but I’d rather we had waited until the end of January to make that decision – by which time we’d then have said no actually you can’t go. JAMES: As mentioned at the start of the month, Solanke going makes sense for club and player, and that has been done. If they believe Camacho is good enough back up for Alexander-Arnold then Clyne going isn’t a problem. But they now need to have faith in Camacho and use him when he’s needed. KARL: I am! I was surprised about both the loan of Clyne and the sale of Solanke—I thought he’d go on loan—but we got great money for the latter. I know the argument about Clyne is no cover, but really, until the last weeks of 2018 he’d played zero minutes this term. If we could have signed a player this month, what position would it have been for you? JAMES: The centre of defence, given the injury records of the others, but Fabinho‘s performance there was encouraging. A versatile wing-forward would have been useful too. KARL: As I suggested at the start of the month, a versatile forward would have been my only inclination. Someone who can play wide and through the middle, be a goal threat and a source of movement and pace and, preferably, be capable of clever dribbles or passes. Finding all of that in mid-season is difficult—but in the summer it should be a priority. Looking ahead to the summer, who do you expect to leave and who do you want to come in, in terms of player or positions? MATT: To leave, there’s actually plenty; Mignolet, Moreno, Sturridge, Origi are the certainties; Lallana, Milner, Clyne, one of Lovren or Matip are likely. I’d like Grujic and Wilson to ‘come in’ from loans and the absolute dream incoming signings for me would be Timo Werner, Adrien Rabiot and Aaron Wan-Bisaka. Throw in an experienced goalkeeper as deputy to replace Mignolet, Ben Foster would fit the bill for a year. JAMES: Lallana should go as he’s not reliable enough in terms of his fitness and no longer seems to fit any role in the first XI. Milner could also leave if Leeds are promoted, and Moreno should too. You would also imagine Sturridge wants a game of football once in a while, as will Origi. Grujic and Wilson especially have earned a chance in the squad after successful loans. I think there is space in the squad for another Mane type wide player, and a forward who can do Firmino’s jobs. I like PSV wingers Steven Bergwijn and Hirving Lozano, and Timo Werner too. A strengthening of the defence might mean one of Lovren or Matip could be sold, and Mignolet will also want to leave. Matthijs de Ligt should join Liverpool so he can forge a centre-back pairing with Van Dijk ahead of the Netherlands’ 2020 European Cup win and 2022 World Cup triumph. KARL: Back to front, I think we’ll see quite a few departures: Mignolet, Clyne, Moreno, Lallana, maybe Milner, Origi and Sturridge. And perhaps even one of Lovren and Matip, in all honesty. It seems that Klopp is still looking for another centre-back and I don’t imagine we’d have five on the books at once, it’s overkill. Gomez has to stay and continue showing how good he is, so it’d be one of the other two. As above, a wide forward is a must. 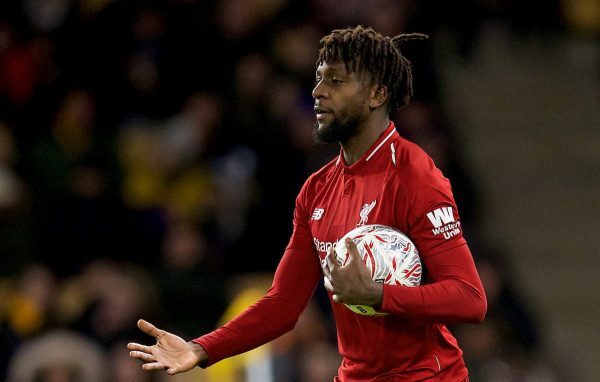 If both Origi and Sturridge leave, we need an additional centre-forward option, too…unless that wide forward can play dual roles. We’ll need a full-back, one who can play both sides would be perfect, but asking two youngsters to play back-up (Camacho and Lewis, presumably) throughout an entire campaign would be crazy. I’m sure there will be one surprise addition, too, to add to the overall quality level of the squad.